Since Yvette Fielding and her team of ghost hunters first appeared on our televisions in 2002, they've visited hundreds of haunted locations around the country, including a total of 45 episodes filmed in the North West. The North West is a hotbed for paranormal activity and is the area from which the team have brought us some of the most memorable episodes of the show, including the 2017 Halloween special at Croxteth Hall in Liverpool. The team first visited the area in series two, when they investigated the paranormal activity at Charnock Hall in Preston. As well as these 45 episodes, the team also came to the North West for many of their 'Most Haunted Live!' shows. Including the legendary show from Pendle Hill, as well as live broadcasts from Blackpool, Manchester, Liverpool, Birkenhead, Burnley, and Preston. Below is a complete list of every location in the North West that the team have visited. The team visits Charnock Hall in Preston to investigate reports of supernatural activity, including appliances that switch themselves on. Yvette Fielding and a team of experts visit Blackpool Pleasure Beach - said to be a hotbed of poltergeist activity - where they experience two separate paranormal experiences. Levens Hall on the edge of the Lake District hosts this hour long special of Most Haunted. Ghosts reported at this historic house, which can trace it's origins to 1350, include a Grey Lady, a phantom black dog and a lady in pink. Brannigans is a popular Manchester bar and nightclub housed in a former Methodist meeting hall - complete with a huge church organ. The hall is thought to be haunted by a former minister and much poltergeist activity. Yvette Fielding and the team investigate spooky goings-on at Moresby Hall, an ancient manor house in Cumbria and have an eerie experience in a tunnel. Yvette Fielding and a team of experts visit Croxteth Hall in Liverpool, a Victorian building where the ghost of a boy is said to have been spotted in the dining room, and footsteps have been heard in the attic. Yvette Fielding and a team of experts visit Greengate Brewery in Middleton, Greater Manchester to investigate ghostly goings-on such as barrels moving around in the cellar, a dark figure appearing in the attic and a security guard getting his face slapped by an invisible presence. Gaby Roslin joins the team at the Old Hall Hotel, Cheshire, where a curious combination of baths, bees and books ensures that their stay is far from pleasant. Yvette Fielding investigates a scene of suicide and starvation, among which she discovers the reason behind the death of the 'White Lady' ghost which haunts Ordsall Hall Salford. Yvette Fielding and Derek Acorah visit Samlesbury Hall near Preston in Lancashire, which has been the site of several murders motivated by religious intolerance. Yvette Fielding and medium Derek Acorah visit Oldham Coliseum Theatre in Greater Manchester, hoping to encounter the ghost of an actor said to be lurking in the wings. Yvette Fielding and a team of investigators visit Dalston Hall in Carlisle - a hotel with a murderous history and a reputation for housing poltergeists. Yvette Fielding and the team return to Pendle Hill, where they held a live Halloween spectacular, during which one petrified crew member had a chilling encounter. Yvette Fielding and her team of ghostbusting investigators revisit Tynedale Farm, a site that holds terrifying memories for them. Yvette Fielding and the team visit Smithills Hall in Bolton where they encounter tales of religious persecution. Yvette Fielding and Gordon Smith visit the set of Coronation Street, where they investigate claims of ghostly goings-on and are joined by cast members Sue Cleaver (Eileen Grimshaw) and Simon Gregson (Steve McDonald). Yvette Fielding and a team of investigators visit 16th-century Mains Hall near Blackpool, in search of things that go bump in the night. Yvette Fielding, Ian Shillito and the team visit the Royal Exchange Theatre in Manchester - the former trading building renowned for ghostly phenomena. Yvette Fielding and the team visit Brougham Hall, Cumbria, where they are party to a ghostly family get-together. Yvette Fielding and the team investigate the former hospital Stockport Workhouse, where EMF fluctuations and orbs have been detected. Carol Thatcher joins Yvette Fielding and the team at Tatton Old Hall, Cheshire, a 15th-century farmhouse home to reports of a mischievous ghostly presence. Suspicious shadows, sudden chills and strange movements are among the ghostly activities reported at the old shipbuilding wharves of Cammell Laird. Yvette Fielding and her team of investigators visit Tatton Mansion in search of paranormal activity. This thriving town is known for it's Tudor Buildings and medieval streets, but there are also tales of murder and deceit. What will the team uncover? 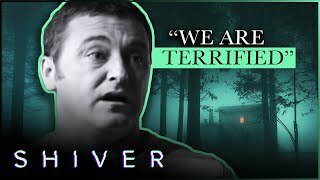 Yvette Fielding and the team visit Tarvin, Cheshire, hoping to discover paranormal activity relating to a maid who was beheaded during the Civil War. Historians Leslie Smith and psychic Davis Wells offer their expertise in the studio. Psychic Brian Shepherd joins Yvette Fielding and the team at Morecambe Winter Gardens to see if the spirit of actress Thora Hird still lingers there. Presenter Yvette Fielding and her team of paranormal investigators continue their search for spooky phenomena at the Winter Gardens in Morecambe, Lancashire, hoping to make contact with some of the many spirits said to tread the theatre's boards after dark. Yvette Fielding and the team explore a secret nuclear bunker in Nantwich, Cheshire, which is the subject of stories about murder and ghosts. Yvette and the Most Haunted team are in Bolton investigating a building that boasts myriad tales of multiple hauntings. With so much unexplained activity, what will the team's investigation of Hall i' th' Wood bring to light? Yvette Fielding and a team of investigators visit Speke Hall, a Tudor manor in Liverpool where a ghostly white lady is said to roam the hallways. Yvette Fielding and a team of investigators visit Gaumont Cinema in Toxteth, Liverpool, where sightings of mysterious lights and ghostly figures have been reported. Yvette Fielding and the investigators search for paranormal activity at Carlisle Castle in Cumbria, a setting for tales of murder and mayhem. After a four year absences, Yvette Fielding and the Most Haunted team return for a brand new series, airing on terrestrial digital channel, Really. 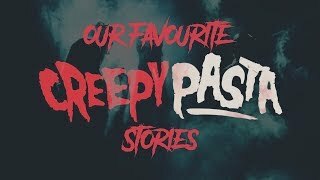 In one the team investigate a tiny little theatre with an awful lot of paranormal activity, from negative entities to a plethora of ghost sightings. In this week's Most Haunted, Yvette Fielding and the gang return to a location that they first visited in the ninth series of the show, back in 2007. Yvette Fielding and the team investigate a large manor house in the Cheshire countryside, which is no stranger to them and never fails to deliver paranormal activity. Yvette Field and the Most Haunted team embark on a two-part investigation of a large former family residence in Cheshire which now stands empty. 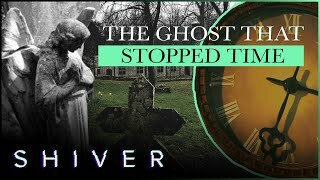 The second part of the Most Haunted team's investigation of Hill House, a large abandoned home in Cheshire with rumours of suicide and plenty of hauntings. Yvette Fielding is back on Really for the 18th series of the long-running paranormal investigation show, Most Haunted. The team's first investigation of the series is in Crewe at the historic Lyceum Theatre. A location which is said to be haunted by six resident ghosts. Yvette Fielding took her team of ghost hunters to a 19th century manor house in St Helens that is known for its abundance of spiritual activity from the inquisitive to the negative. This week Yvette Fielding and the Most Haunted team visit Walton Hall, a beautiful Grade II listed family home in the Lancashire countryside which is said to have a few resident ghosts. Including the angry ghost of Lady Daresbury, who's said to have died in her bathroom. Yvette Fielding and the Most Haunted ghost hunters get more than they bargained for when they pay a visit to the Liverpool's oldest pub, The Slaughterhouse. In a first for Most Haunted, Yvette Fielding took the team to an ordained church in Todmorden, where there was a fright waiting for them in the church's cellar and a haunted graveyard to explore in the dead of night. Stuart Torevell, a member of the fearless Most Haunted team was taken home after receiving medical attention following a mysterious incident at a haunted cotton mill in Stockport in one of the show's most terrifying episodes to date. Halloween night wouldn't be the same without Most Haunted, and tonight Yvette and the team treated us to one of the best episodes of the show in a long time. This is the second part of the Most Haunted team's investigation of Croxteth Hall in Liverpool, but will the match the excitement of the first part, the Halloween special? Yvette Fielding and the Most Haunted team tackle Macclesfield's most haunted pub, which is allegedly the home of 14 different spirits, this is the first half of a two-part investigation. The conclusion of Yvette Fielding's two-part investigation of Bate Inn, Macclesfield's most haunted pub and its 14 ghostly residents. With the help of the audience, the Most Haunted Team investigate Pendle Hill in Lancashire. In this instalment, they visit Clitheroe Castle, Church Brow, and the Trinity Youth Centre. Derek, Yvette, and the team investigate the town of Blackpool. Under the darkened New Moon what will they uncover, and what will they learn about Blackpool's curious past? In this installment, the team investigates the Blackpool Pleasure Beach. Yvette Fielding leads the Most Haunted team into action for their 16th live investigation, this time from the bustling Manchester city center for three nights of paranormal entertainment. The investigation includes a familiar location, Brannigans Night Club, which they first visited in series two. Yvette Fielding and the Most Haunted Team investigate locations in Liverpool and Birkenhead during a three night live event, hosted by new Most Haunted Live Presenter, Jamie Darling. Yvette Fielding and the team embark on a Halloween live special with a difference. Spread across five nights, the team will visit five different locations in the UK, the journey the team takes will drawing out a huge inverted pentagram across the country. Yvette Fielding and her team of fearless ghost hunters are back for another week-long live investigation, taking in six creepy locations across Merseyside. Starting at the the Morecambe Winter Gardens, Yvette Fielding and the team are joined by medium Chris Conway as they head to the north-west of England for a Halloween special which spans eight nights. Now appearing to be a red-brick farmhouse, Tatton Old Hall was once a grand timber framed building used by Richard De Massey, Lord of the Manor of Tatton during the late 13th century. In 1598 the Hall and surrounding estate were passed onto the Egerton family. It stayed with them for many generations, until it was sold to the National Trust in 1958. Despite the land on which the Hall is situated having a good 1000 year history, construction on the Hall itself didn't begin until 1719, being completed some 13 years later in 1732. Fire nearly destroyed the property in 1861, leaving the whole central section of the building completely gutted. During the Second World War the owners turned the Hall over to the Red Cross for use as a hospital, the cellar area coming in useful as a bomb shelter for staff and patients. Built between 1600 and 1605, the Hall was commissioned by the Shuttleworth family and thought to have been designed by Robert Smythson. The interior was re-designed in the 1850's by Sir Charles Barry. It is believed that Colonel Richard Shuttleworth, a man involved in the trial of the Pendle Witches in 1612, might haunt the building. The home of the Hesketh family for many generations, Rufford Old Hall was built by Sir Thomas Hesketh in 1420. Originally it would have had two wings either end of the Great Hall, but over the years there have been major changes to the structure. The West wing is now completely gone and the East wing has been rebuilt. Very little of the original building now stands. One of the many ghosts said to haunt the building is Queen Elizabeth I, spotted often in the dining room. Dalston Hall near Carlisle, Cumbria boasts an extraordinary range of ghosts. A non-human entity with long fingers and nails has been sensed in the cellar as has a friendlier 'handyman'. Several female spirits have also been seen.